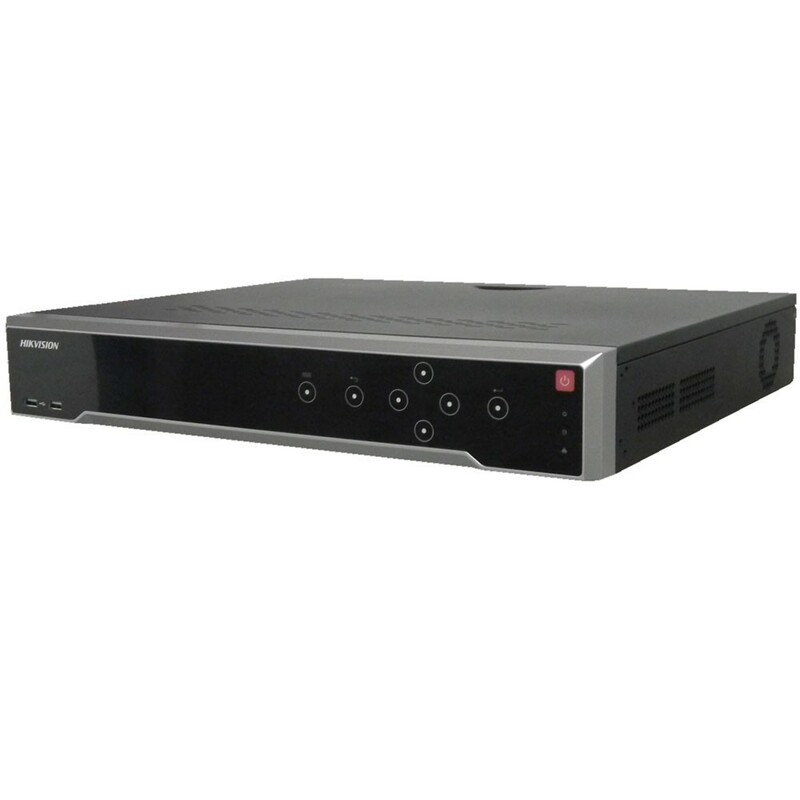 Record video and audio from up to 32 cameras with DS-7732NI-I4-16P 16-Channel 12MP NVR from Hikvision. 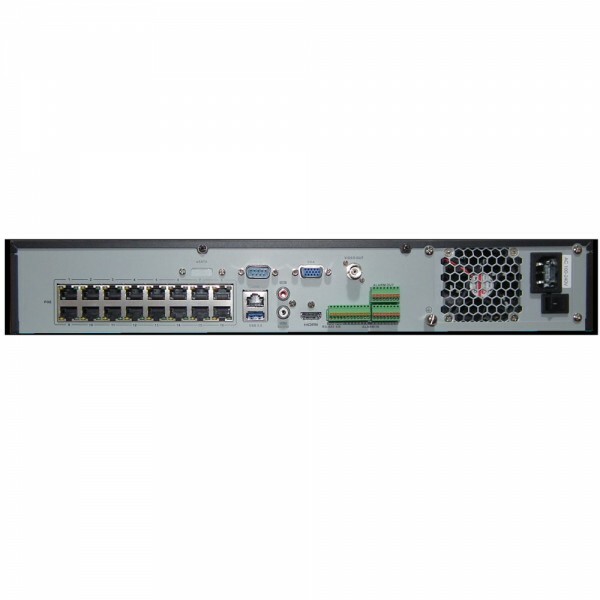 This NVR features 32 Ethernet ports with plug-and-play functionality and built-in PoE for quick installation and setup of network cameras. It allows you to record and play back video in up to 12MP resolution using Hikvision or third-party network cameras. HDMI and VGA outputs support up to 4K resolution, and there are three USB ports for transferring data to external devices. Four SATA drive bays can each support up to a 6TB HDD, for a maximum of 24TB of storage.